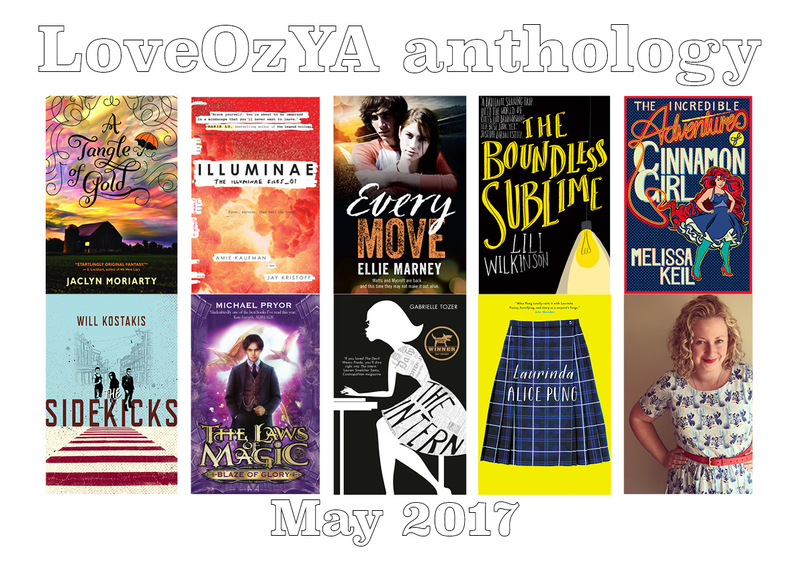 LoveOzYA - announcing anthology author line-up! HarperCollins Publishers is thrilled to announce the stellar line-up of writers contributing to its inaugural #LoveOzYA anthology. The anthology of young adult short stories will feature new work from Amie Kaufman, Melissa Keil, Will Kostakis, Ellie Marney, Jaclyn Moriarty, Michael Pryor, Alice Pung, Gabrielle Tozer and Lili Wilkinson. As previously announced, youth literature advocate Danielle Binks is spearheading the project as anthology editor and will also contribute to the collection. 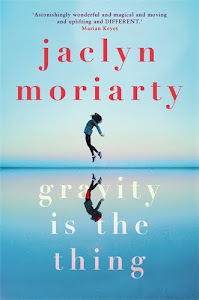 The as-yet-untitled anthology was first announced in December 2015, following the grassroots campaign that arose after figures were released by the Australian Library and Information Association, revealing that only two of the top ten most borrowed YA books were written by Australian authors. 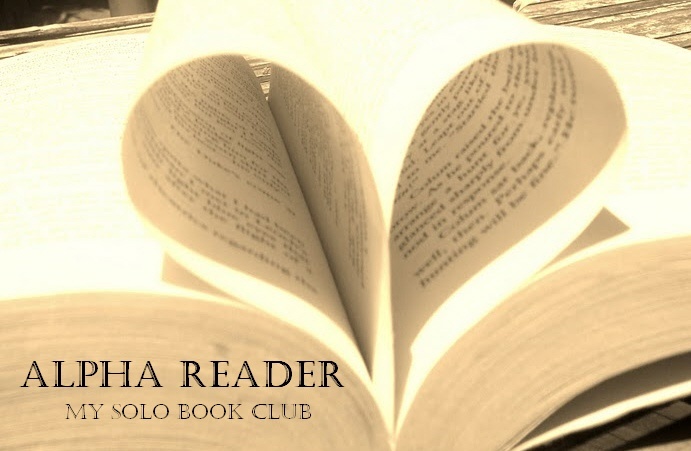 Since then, authors, reviewers, readers, bloggers, booksellers, librarians and publishers have banded together to showcase and support local YA literature, with the #LoveOzYA hashtag now commonly used online to highlight the best of Australian YA. 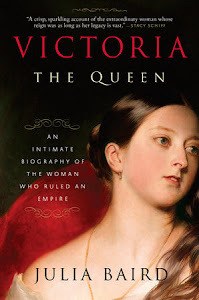 HarperCollins Publishers will release the anthology in May 2017. 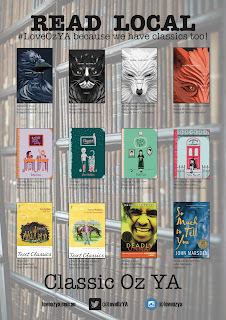 Crime and Mystery and Classics - LoveOzYA posters! 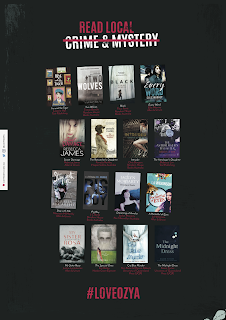 Just a quick message to say there have been two new LoveOzYA posters created in the last week! The first is a Crime & Mystery poster - which came about because author Rebecca Lim received a request for this genre poster from a group of students she was speaking to at a Lit Festival recently. This poster was kindly designed by the very talented Jin Wang, of Jin & Co. The second poster is a 'ClassicsOzYA' poster, which offers but a drop in the ocean of books that have shaped Australia's youth literature. This one was designed by the fabulous Jessica Harvie, who also did the LGBTQIA+ posters. These new LoveOzYA posters are available to download from the DropBox folder as always, and I've uploaded them as 'Resources' on the official LoveOzYA website! 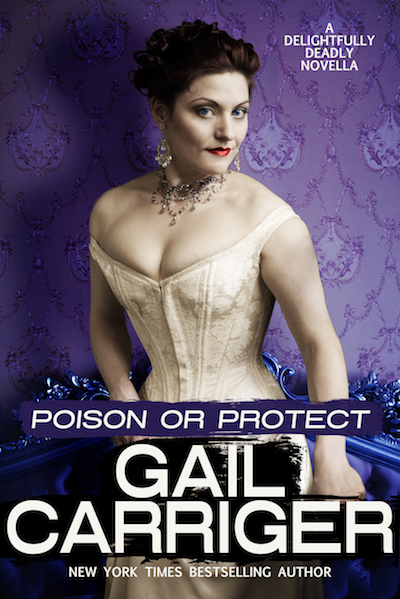 ‘Poison or Protect’ is the first in a series of ‘Delightfully Deadly’ novellas, set in the same universe as Gail Carriger’s Parasol Protectorate and Custard Protocol series’. Before I delve into the deliciousness of this first novella, I’ve got to quote from Ms Carriger’s website and get just a little bit excited over what readers have in store from the pre-eminent steampunk romance author. The Delightfully Deadly novella series is set in the same world as the Parasol Protectorate series and features characters who appeared in the Finishing School series but are now grown up. As well as the DD novella series, fans will be treated to Supernatural Society Novellas – stand alone LBGT romances – as well as Claw & Courtship Novellas – which are coming in 2017, and are stand alone werewolf romances. This shall be nothing short of a fantasy feast for fans – and this fan in particular who is always happy to visit and revisit Carriger’s endlessly fascinating and fabulous steampunk/urban fantasy universe. The first in ‘Delightfully Deadly’ is ‘Poison or Protect’, which tells the story of ex-drone to Lord Akeldama, turned deadly assassin, Lady Preshea Villentia (I always want to applaud Carriger’s character names). Preshea is tasked with attending a house party where she’ll be expected to protect her Tory host from assassination, and dissuade his young and impressionable (not to mention, moneyed) daughter from marrying a gauche gentleman and fortune-seeker called Jackson. Except there’s one problem – young man Jackson is attending the house party with his best friend and fellow werewolf, Captain Gavin Ruthven – a much more sensible (and sensuous) retired Scottish officer who Preshea becomes complicatedly attracted to. I adored this novella. There are lots of old favorites and familiar faces peppered throughout, but Preshea and Gavin’s romance is entirety fresh and fabulous. Both characters have interesting enough back-stories and proclivities that were simply delicious to unpack. Preshea, for instance, is nicknamed The Mourning Star because she’s been through four husbands already (and she’s too beautiful for a moniker like Black Widow Spider, thankfully). Both men looked more admiring than shocked. Good, I have judged them correctly. These were that unusual breed of male that admired a capable female. Preshea found herself in an unexpected predicament. Enjoying the float, fighting an inclination for the wrong man, and a genuine affection for both. Gavin may be big and burly, but he’s a gentleman who likes to be led by a stronger female in the bedroom … And when these two meet there’s a slow spark of chemistry that ends up igniting on the page. Gail Carriger is just one of the funniest, most charming and original writers I’ve ever come across – and I’m downright delighted that she’s gifting readers these novellas, so as to consume more of her words and live a little longer in her worlds. I’m particularly excited for the Supernatural Society LGBT+ novella series, and even more so since there’s a couple in ‘Poison or Protect’ who really intrigued me. I have a feeling that as more of these novellas come out, I’ll be moved to re-read all of her series in chronological order just for my own pure delight! A few people have asked me recently about the kinds of things editors need to know in order to appropriately edit YA and children’s books that contain Indigenous characters/content. So here’s a few thoughts on some of the things that editors might find it useful to inform themselves about. It should be noted at the outset that a lack of editorial knowledge regarding Indigenous peoples and realities in part arises from the fact that most of the Australian publishing industry – and the literature industry more generally – lacks any history of sustained engagement with Indigenous peoples. Engagement has tended to be on a one-off, ad hoc basis with all the failings that can entail – inconsistencies in approach (including inconsistencies within the same publisher); a lack of retention of corporate knowledge (because knowledge resides with one person and is lost when they leave); and a lack of meaningful, sustainable connections between a publisher and Indigenous peoples. The obvious framework through which publishers can foster engagement with Indigenous peoples is a Reconciliation Action Plan (RAP). RAPs are increasingly a feature of the public and private sector, including the schools sector. A RAP – which is a business plan that details how an organisation/corporation will achieve reconciliation – is built around three core elements: fostering respect for Indigenous peoples and cultures, building relationships, and creating opportunities (both through Indigenous employment and through supplier diversity). Detailed instructions on the development of RAPs are available at the Reconciliation Australia website. 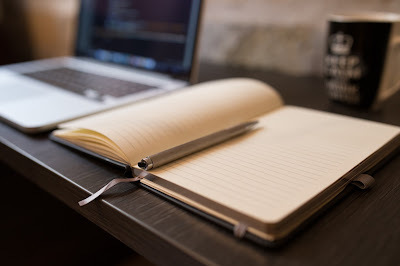 Best practice standards are contained within the AIATSIS Ethical Research Guidelines, the AIATSIS Ethical Publishing Guidelines, and the Australia Council for the Arts Indigenous Writing Protocols. The research guidelines are relevant because there is an intersection between literature and the extensive work on working ethically with Indigenous peoples that has emerged from the research field. This is especially so in relation to non-fiction or fiction that draws heavily from fact (eg from historical events); and to collaborations between Indigenous and non-Indigenous peoples. Editors should be well familiar with all these documents. In addition, every editor should have read Murri lawyer Terri Janke’s recent publication Indigenous Cultural Protocols and the Arts, which relates to the Australia Council protocols and sets out a series of questions that any arts practitioner should ask in relation to projects involving Indigenous peoples/knowledges/cultures. These questions are equally relevant for any editor to ask when seeking to ensure a best practice approach has been followed. Editors should further be aware of two intersecting areas that underlie the guidelines and protocols: Indigenous Cultural and Intellectual Property (ICIP), and the principle of free, prior and informed consent. The leading Australian expert on ICIP is Terri Janke. I would suggest that editors read Terri’s presentation Who Owns Story (and the associated discussion on copyright on the AIATSIS website), and More Than Words: Writing About Indigenous Australia. Cultural competency is often mistakenly understood as being something that is achieved solely through obtaining knowledge about Indigenous peoples. However, the research demonstrates that the achievement of cultural competency requires a person is aware of their own cultural standpoint and the limitations of that standpoint when it comes to comprehending the cultures of others. To aid in understanding the concept of cultural competency, I suggest editors read the summary provided in pages 37 – 50 of the National Best Practice Framework for Indigenous Cultural Competency in Australian Universities, and especially the models of cultural competency provided at pp 49 – 50. White privilege was defined by US scholar Peggy McIntosh in her watershed work on the subject as an invisible package of unearned assets that she could count on cashing in on everyday, but to which she was meant to remain oblivious. In 2010, Black writer Zetta Elliott adapted Peggy McIntosh’s analysis to discuss the present day literary industry in the US; I’ve drawn on Zetta’s article to write about privilege in Australian literature. Other Australian YA/kids writers who have addressed privilege include Rebecca Lim and Justine Larbalestier. In the US, there is a wealth of online commentary on the subject of whiteness, privilege and YA/kids lit, including the following: Daniel Older, Diversity is not enough: race, power, publishing; Allie Jane Bruce, On Being White: A Raw, Honest Conversation; Zetta Elliott, It’s not me, it’s you: letting go of the status quo; Megan Schliesman, Lessons on Reading While White; Ellen Oh, Dear White Writer (and for some of the reaction to Ellen’s post, see here and here). Any editor familiarising themselves with commentary in this area should also read Robin DiAngelo’s work regarding the concept of ‘white fragility’, as this concept is often referenced in US discussions. What about gaining knowledge about Indigenous peoples? 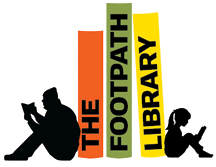 There are a range of online resources that editors may find helpful, including: Indigenous terminology guides (for example, the Flinders Uni guide); Reconciliation Australia’s Share Our Pride module; answers to basic questions as well as explanations of common myths about Indigenous peoples; resources on history including the 1967 Referendum, land rights, and the Stolen Generations; and the websites on culture and Country created by Indigenous nations, such as the Kaartdijin Noongar (Noongar Knowledge) website. Reading online materials is not of course a substitute for formal cultural competency training. But in the absence of publishers engaging Indigenous peoples to offer such training, editors should try to be as informed as they possibly can, and in this respect, there is one more source with which all editors should be familiar: Indigenous literature. There are a wealth of Indigenous Australian voices in Australia, and one of the best ways to learn about being Indigenous is through reading the works of Indigenous peoples speaking to our own worlds. And in relation to YA and children’s literature, begin with the extensive catalogue in this field of the Indigenous publisher Magabala Books. There is a global dialogue happening around diversity in literature – or rather the lack thereof, and in particular, the massive under-representation of diverse voices. In the US, this conversation includes websites dedicated to providing thoughtful, in depth analysis of representation in literature. We don’t yet have the equivalent of such websites in Australia. But anyone with an interest in Indigenous peoples and literature should be regularly reading the work of Nambe Pueblo Indian woman Debbie Reese at her American Indians in Children’s Literature website. Editors should also be informed about the diversity conversation more broadly. The intersections between different experiences of exclusion are important, especially because anyone who belongs to more than one category of difference will be even more marginalised still (in this respect, Indigenous women are amongst the most marginalised on earth; Indigenous LGBTI Australians are at a particularly high risk of suicide, and Indigenous Australians are almost twice as likely to be living with a disability as non-Indigenous Australians). Diverse Australian YA/kids authors who have written to diversity issues in Australian literature include myself, Sarah Ayoub, Rebecca Lim, Gabrielle Wang, Will Kostakis and Erin Gough. US websites that address representation issues in YA/kids literature include: Disability in Kids Lit; GayYA; Oyate; Reading While White; Rich in Color and the We Need Diverse Books movement. There are a multitude of voices in this space speaking powerfully to why representation matters, and to the many dangers and manifestations of mis-representation. So if you want to be informed – listen.